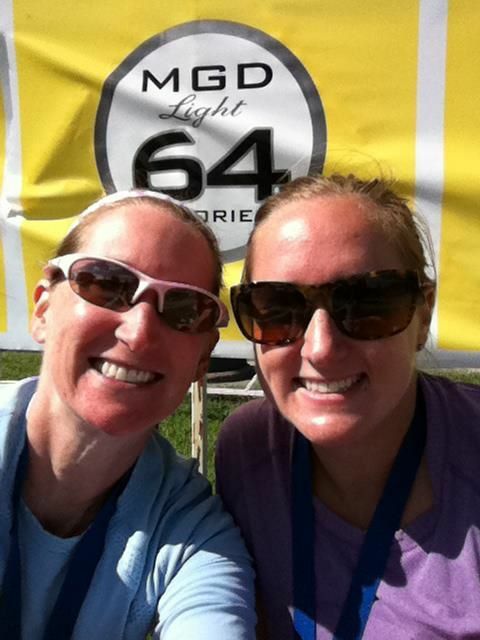 I had the pleasure of running a 15 miler a few weekends ago with my little sister. She is training for her first marathon and I signed up to be her “pacer”. As a veteran of 10 training cycles for marathons, I figured I would be able to stay strong for her if she needed me. Well, after this run it is clear to me that the tables have turned. She is in amazing shape. She ran the longest run of her life like it was no big deal. She barely needed nutrition or water and was chipper for the rest of the day after our run. It made me so proud. 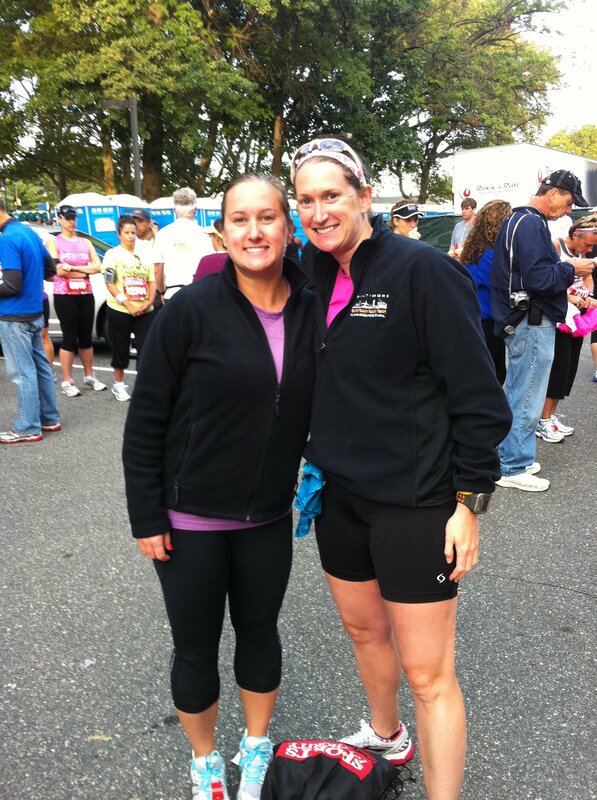 Fast forward to last weekend, we lined up at the Rock n Roll Philadelphia Half Marathon to run our first 13.1 together since her first all the way back in 2004. My goal for the day, try to keep up with her until I passed out and couldn’t make it anymore. Her goal for the day, 2:10. We happened to write these goals on the outside window of Lululemon so they were “real”. She realized after our preparations that she had left her watch at home so I handed her the Garmin and made the decision to go clock free. (It was incredibly liberating to “not know” my pace the entire time. I knew I was working really hard and that it hurt, but I just kept going.) My little sister was incredible, she maintained an incredibly strong pace for the entire race, even through the hot sun on MLK Drive and up the big hill to the art museum. We clocked through the finish line at 2:08:48 (for 13.44 miles due to weaving). It was awesome to see both of us meet our goals for the day. For her, beating her PR by 9 minutes. For me, keeping up and running my best time in 3 years. What an amazing gift to have a little sister who takes the lead role and shows incredible strength. I am blessed. Previous Article Live for Today. Next Article This is gonna hurt-a confession. I love you so much! (tearing up now). I know that in November for the full marathon I will look to you for guidance and support I know you can give, especially at mile 22 when I may be crying. I am scared, excited, and nervous for what I know is going to be a great day in our lives. I am so blessed to have you in my life! Love you sister. I am so proud of you both and love you more than words can say! !